Since 2012 Primary Schools have been included in the Language Trends survey, carried out by the British Council and the CfBT Education Trust. The reason for this is that from September 2014 languages will be a compulsory part of the curriculum for all KS2 pupils. There is clearly a wide variation in provision of language teaching in Primary Schools, with some schools not teaching languages at any stage or at KS2 only, while others teach languages at both KS1 and KS2. The survey shows that many primary schools rely on their teaching staff to provide foreign languages, but that a third of these teachers have only a GCSE in the language. The teachers are most confident in teaching languages at Key Stage 1 and their confidence declines as the children progress up the school. This is an issue as it is KS2 where language skills are most needed, to meet the requirements of the National Curriculum. A total of 33 per cent of primary schools say they do not monitor or assess pupil learning or progression in MFL. Writing, including the correct use of grammar, and reading, including grammatical understanding, were the areas where schools felt least strong. Contact la Academia for help in setting up or boosting your MFL teaching programme. 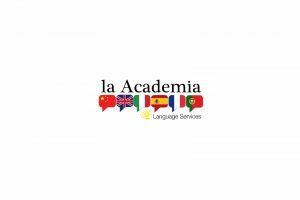 la Academia competition - win a Language Day for your primary school!